Well that's it kiddos, the store is closed. Other than selling off some fixtures (anyone need paper racks?) and clearancing off the last bit of inventory the next two Saturdays (40% - if you want details of the sale call me), Scrap with Shelby is no more. They say there is always a silver lining, and this mine...now I can write about whatever I want, and post interesting things I see from former competitors and also manufacturers. Often times, mfgs come up with great ideas I can't alway post. Why? Because I'm not necessarily stocking that product. But now, I can just post whatever strikes my fancy and talk about that. 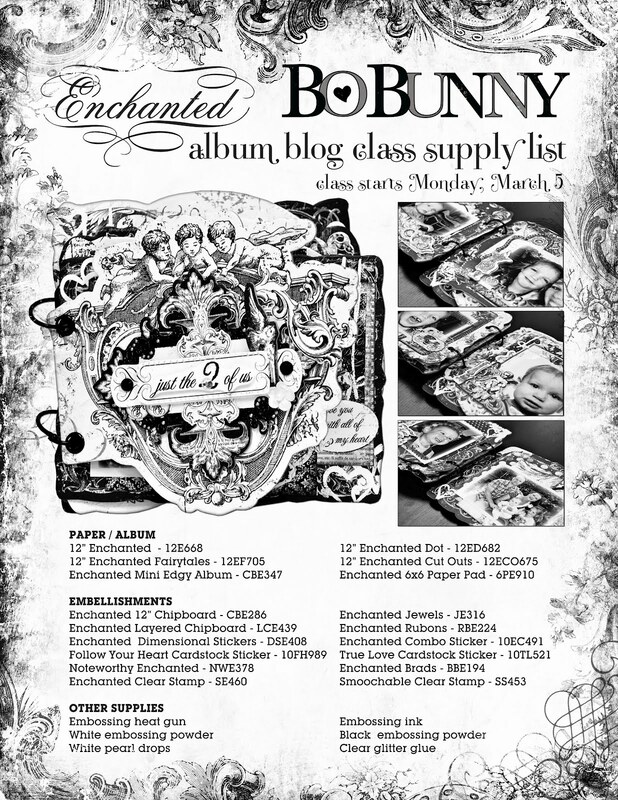 So, to get things started... Bo Bunny is hosting an online class through their blog. 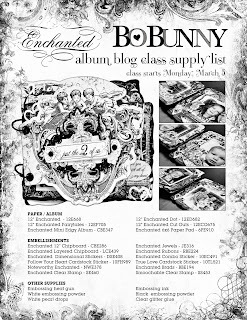 You can check it out at www.bobunny.blogspot.com starting March 6th. If you do the class, I'd love to see what you came up with! PS - I will continue to teach classes and post them here. I'll be adding a card class too. Since the website was hacked, you have to contact me directly to sign up. I will find a longer term solution once things settle a bit.